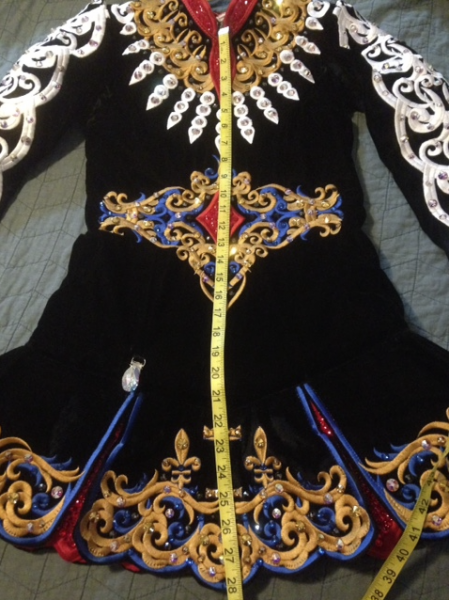 dance.net - Stunning 1-yr old Doire dress for sale (10247916) - Read article: Ballet, Jazz, Modern, Hip Hop, Tap, Irish, Disco, Twirling, Cheer: Photos, Chat, Games, Jobs, Events! Drop-waist - 38â�³, Bust 32â�³, 28â�³ in length from collar, 23â�³ sleeves. There is 1â�³ let-out along the sides. 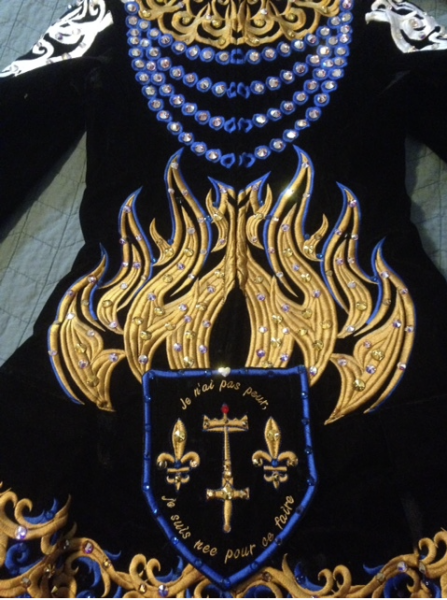 Back patch reads, â��I am not afraid, I was born to do thisâ�� in French. A quote that was attributed to Joan. 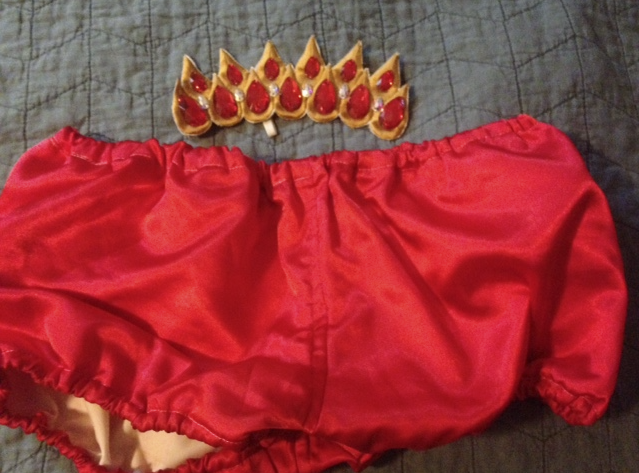 Red bloomers and original crown included. 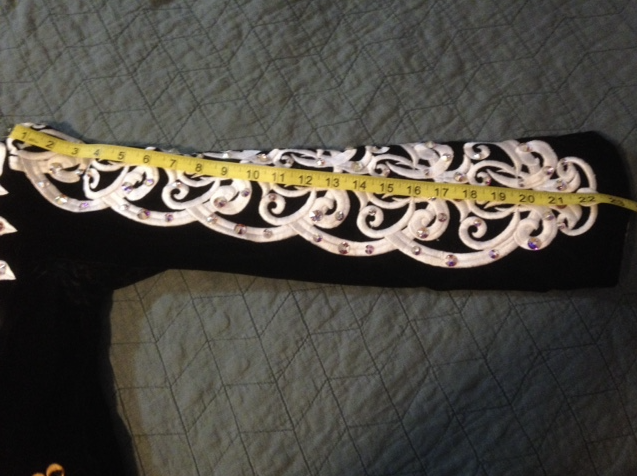 Will be available to try on at Oklahoma State Championships and River Valley/Ozark Mountain feisanna. 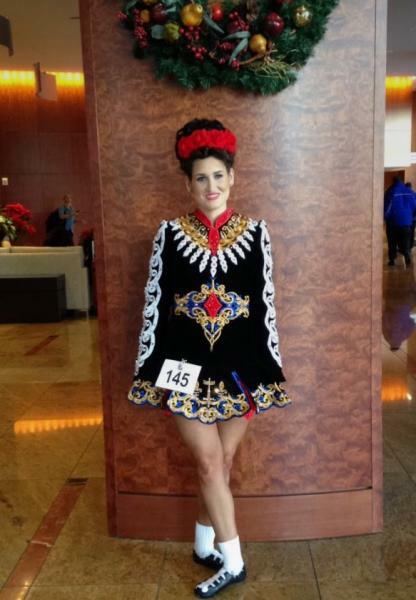 Can be available at Feile Houston instead of Arkansas double if there is an inquiry. Reduced to $1,100. Will be available at Arkansas and Atlanta doubles.